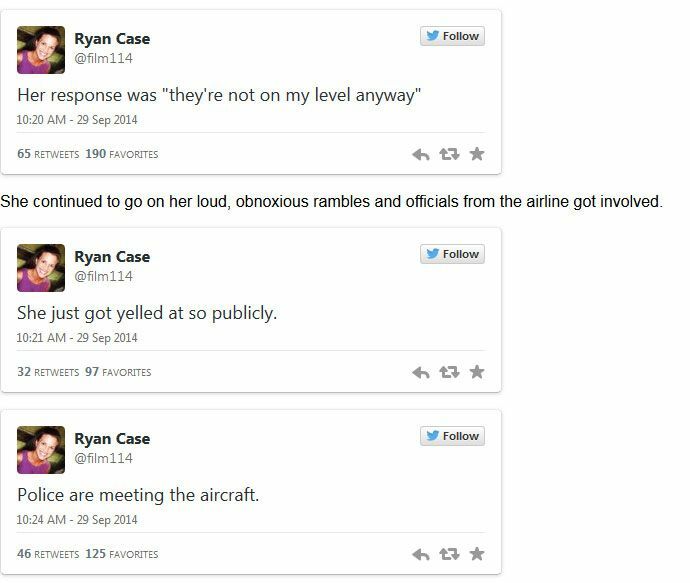 Ryan Case, is an Emmy-winning editor for ABC sitcom Modern Family, and sometimes he runs into terrible airplane passengers just like the rest of us. 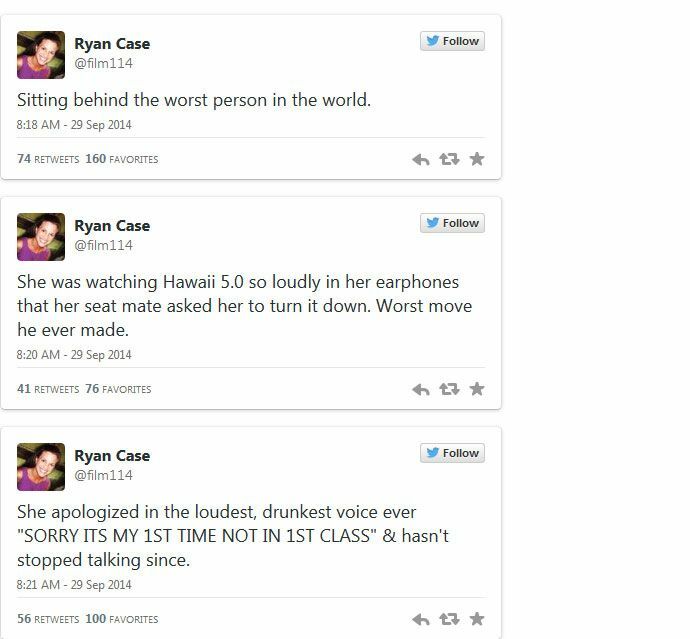 We've all been there, stuck on a plane with someone we can't stand. 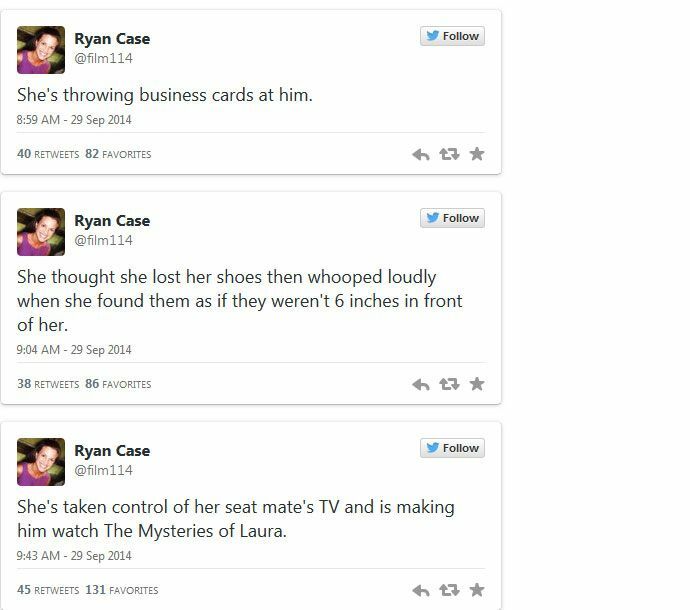 Luckily for the rest of us, Ryan live tweeted the encounter and it was hilarious. 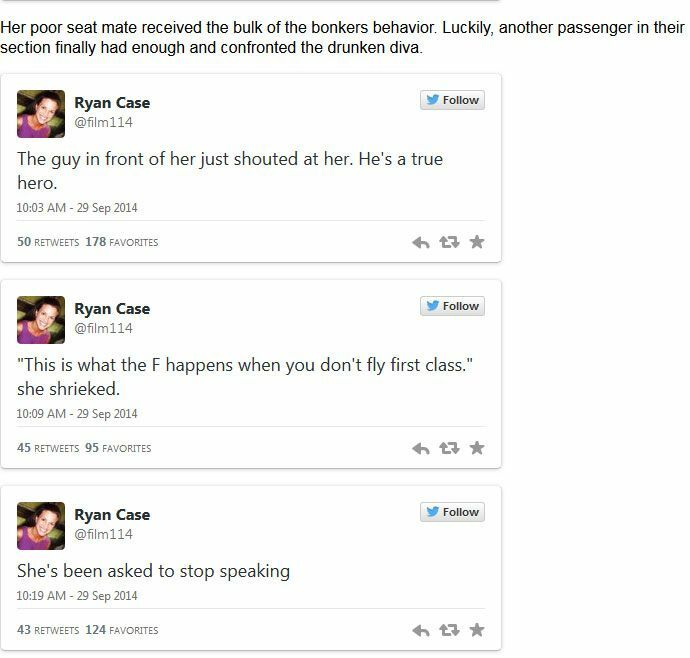 I hate drunks in closed environments. I swear their stupidity and boorish behavior is multiplied. Shouldn't her cellphone be on 'Airplane Mode'? 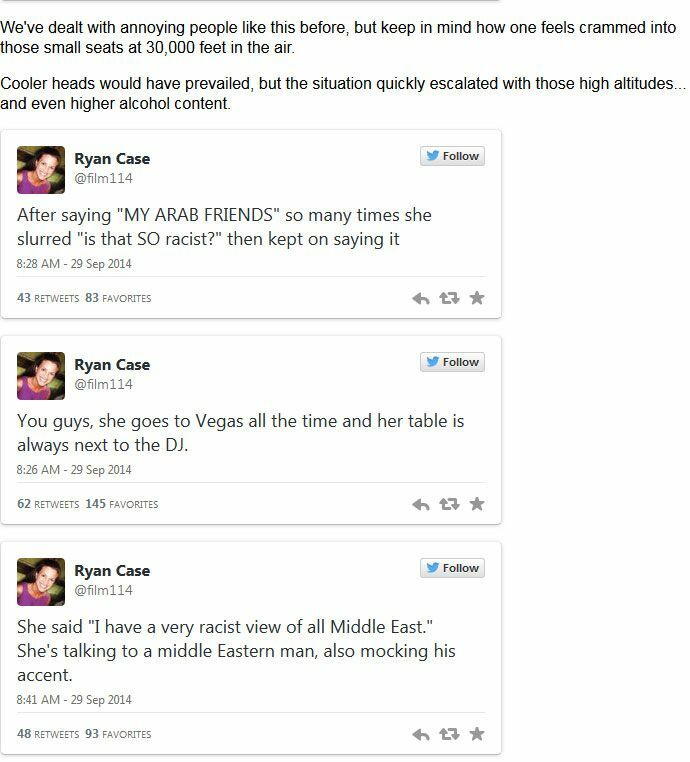 But at least she was right about Arabs and spoke about it. That is the type of person who believes all arabs are bad. If you believe it too, then you just read a post about how the rest of the world sees you. Obviously you don't have the brains to understand this post because you're right at her level. No. Tasers can kill. And what would happen if they miss? Could damage the plane. no chance they gonna make airplanes seats like rooms anytime soon?